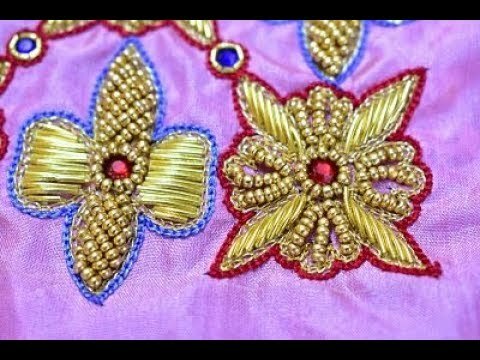 Aari Embroidery classes by Prabhas Designs: CODE NO 535. Bridal Blouse with Full Zardosi work. CODE NO 535. Bridal Blouse with Full Zardosi work. We conduct Aari Embroidery classes, Tailoring classes, Saree Tassel classes. and Machine Embroidery classes. We undertake orders for Bridal and Patch work blouses. www.prabhasdesigns.com #prabhasDesigns#aariembroidery #aari #maggam #maggamworks#aariclasses #Tailoringclasses #bridalblouses#wedding #weddingblouse #Designblouses#designerblouses #aariembroideryclasses#silkthread #silkthreadjewelleryclasses#sareetassels #kuchuclasses #classes — at Aari Embroidery Designs. Long Elbow Sleeve with Dual Peacock Designed Aari Embroidery Blouse.